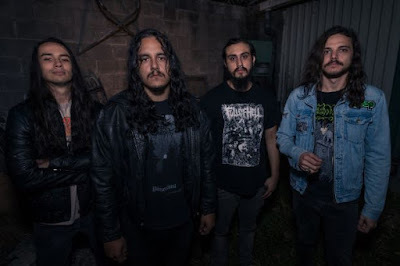 Costa Rican doom band Age of the Wolf are set to release their debut full-length, “Ouroboric Trances”, on May 17th in digital, CD, and vinyl formats via Aural Music. 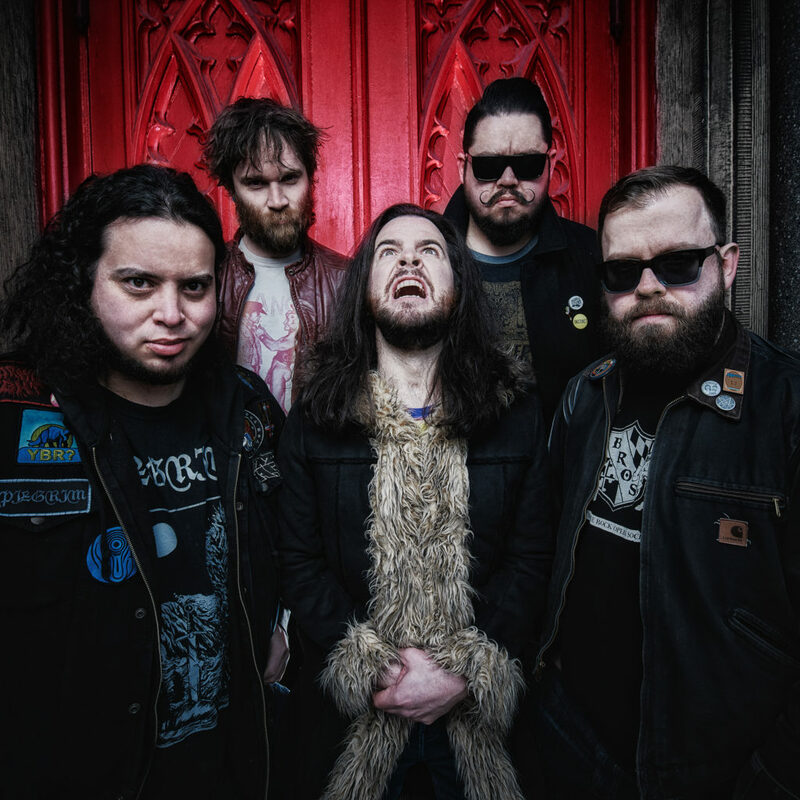 This fuzz-worshipping outfit delivers crushing riffs and epic melodies, backed by an apocalyptic rhythm section that crosses all spectrums of the sludge/stoner/doom genre. Today at THE SLUDGELORD we’re proud to have the band make their debut on the blog with an exclusive premiere of new track “Herald of Abyssos” which you can check out below. Make no mistake, it is worth your time. So comply and let your speakers die!! 1 – This is the lowest rating you can achieve you losers. 2 – And this score is a smidge better than landing a 1. Feel good about yourself yet? 4 – Four? Start high fiving yourself and your pets. 5 – Oh…so close to a 666, but no banana for you! 666 – You can’t go any higher with us. You should feel great about, now go tell all your friends and family. Maybe they’ll care? 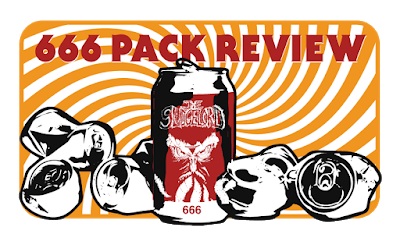 Caveat: Even though the “666 Pack Review” is meant to offer humorous critique, there are no safe spaces here and your gripes will only make you sound like a bellyacher. 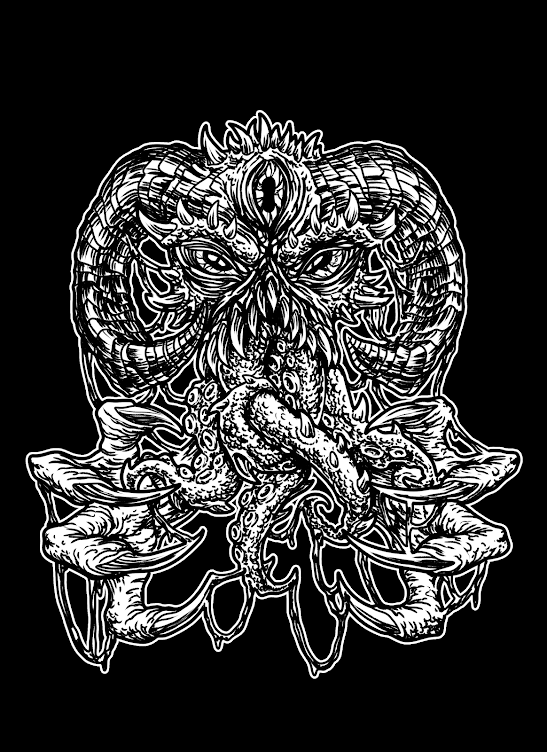 THE SLUDGELORD is a picky listener…and doesn’t care what you think of his opinions…. George Thorogood meets Weird Al Yankovic. Fans of splattergrind will dig this. Poor man’s version of Witch Mountain. My subconscious drunken state would dig. If Voivod decided to dumb down. Dune Sea is a power trio from Norway playing a stoner rock mixed with shoegaze and space rock. The Trondheim based group are often compared with bands like Hawkwind and Queens of the Stone Age. On the 3rd of May Dune Sea will issued their new album “Cosmic Playground” via All Good Clean Records and features nine tracks that range from stretched out psychedelic sci-fi soundscapes to synth based monolithic riffs. The sound unfolds within a cinematic universe, which is both retro and futuristic. “Cosmic Playground” combines big questions about the universe and existential nihilism with melodic guitars and big synthesizers. The scandirock inspired spacerock track is the grand finale of album. On the 19/04/2019 2019, HAZE MAGE will release their first full-length album titled “Chronicles” again through Grimoire Records and it represents an expansion of the fantasy world created in their debut EP. The album and its concept have been in development since 2017 as part of an even broader narrative yet to come. Each song introduces a new character or piece of lore for the listening adventurers to encounter. “Asterismal” is a powerful distillation of 11Paranoias strengths that results in their heaviest and most hallucinogenic release to date. It is another fine addition to a mighty discography that makes most other doom bands feel tame and grounded in comparison. 11Paranoias continue their voyage to the outer limits of heaviness with new LP “Asterismal”. The UK trio have developed their distinct brand of mind-expanding doom over a number of killer releases and this latest collection finds them reaching new heights of crushing hypnotic wonder. “Loss Portal” opens proceedings in punishing style with the band lurching straight into a mesmerising slow-motion riff. Once 11Paranoias raise the tempo around the mid-point and Mike Vest's smouldering guitar sets a course into the stratosphere there is no resisting the sensory overload of their full sonic onslaught. While there is no doubting the bands mastery of dark, spacey doom it is their unexpected left turns into uncharted waters that really elevate them above their peers. “Bloodless Crush” is a relentless heavy garage rock attack cloaked in a cloud of fuzzed-out solos and swirling vocals. Imagine the Stooges playing through Electric Wizard's backline and you have a good idea of the joys on offer here. Adam Richardson's trademark roar is still present but this time around it is projected further into psychedelic territory, cloaked in layers of smoky reverb and delay. There are also instances of him employing a more melodic approach to great effect, adding a haunting, mournful edge to album highlight “Slow Moon”. The hulking, funereal first half of the track gives way to a propulsive second section that launches into oblivion like Earthless having a bad trip with Joy Division. 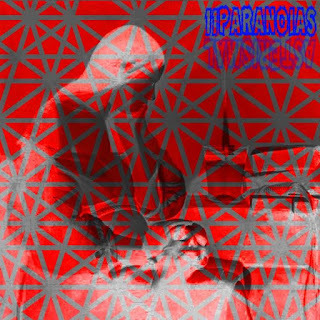 “Quantitative Immortalities” takes a similar slow / fast split approach but this time the high octane finale powers into the heart of the sun like an armour-plated Hawkwind on one final flight into the beyond. “Chamber Of Stars” offers an initially subdued finale with waves of hazy wah guitar conjuring up the bleary, blissed out haze of Bardo Pond before one last glorious wave of noise engulfs all. 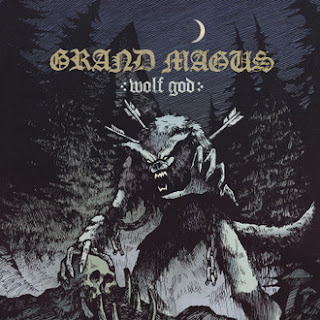 ALBUM REVIEW: Grand Magus, "Wolf God"
This is a strong and dark record made by veterans of the form and sees Grand Magus further cementing their reputation as front runners in the niche of traditional heavy metal. Grand Magus are now in the enviable position of being a very well established metal band- this is their ninth album. As noted in previous reviews, their sound has gone from stoner/rock to doom to heavy metal, detoured into hard rock and then gone back to the type of metal that Dio, Priest, Manowar et. al. have made millions from. That Grand Magus are still a somewhat underground band is a travesty. If this was 1984, they'd be headlining Long Beach Arena by now. As it stands, though, Grand Magus may not be financially rewarded, but they are rewarded with the reverence held in reserve by fans for the very best in the genre. As far as their discography goes, there are no howlers; the debut is an oddity but a fine album and “The Hunt” was just too restrained for my liking- but still with great songs. Coming off the back of two great records, expectations are high for “Wolf God”. “Triumph and Power” and “Sword Songs” contained some classic metal songs and put the band into a very enviable bracket indeed- that of an act with multiple 4*+ albums. The orchestral opener, “Gold and Glory”, sets the tone in grandiose terms. From there, it is straight into the title track. First impressions? Huge drum sound, mid-paced riffage and bombastic vocals courtesy of JB. Make no mistake, this is weighty stuff and the toms sound as if they are being played by Thor himself. “A Hall Clad In Gold” picks up the pace and delivers a pounding snare to back each beat of the bar through the verses. Good hooks through the bridge and then an unexpected switch to bass and drums back to the verse. Once again, the band excel at cutting the fat from the songs and delivering catchy verses, strong riffs and memorable structures- think Judas Priest at their best. “Brother of the Storm” is a mid-paced rager; great hooks- before “Dawn of Fire” delivers a more epic approach. Grand Magus have done this kind of 6:8 time feel before and they have done it well (“Triumph and Power” springs to mind) and this is another example of the band nailing a groove to the (longship) mast. At the halfway point, then, this is an album that has more in common with “Triumph and Power” than “Sword Songs”. It is a little more restrained, a little less bombastic, a little slower and a fair bit darker than either of the two most recent albums. All of that said, when “Spear Thrower” kicks off then the album takes a turn. The tempo goes up, the histrionics are back and the hooks are stellar. The band thus start the second half of the album in the best way possible. The solo is fantastic too. A killer track, front to back. “To Live and Die in Solitude” is similarly hard rocking- triplet time feel, a muscular riff and the band firing on all cylinders. This is rousing stuff and fits in nicely with the “Wolf's Return”/”Iron Will” era. It's worth noting at this point that Grand Magus may well have paved the way for bands such as Visigoth to rise to prominence. The two bands may be from different continents, but they share the same musical DNA;strong hooks, energetic performances and epic feel. “Glory to the Brave” starts moody and features a rim shot (seldom heard in metal) prior to the guitars bursting in. The band then goes for quiet/loud dynamics and tried and true heroic themes. “He Sent Them All to Hel” has a much more hard rock feel to the rhythms and pacing; If AC/DC ever decided to pursue a Viking themed album, then I guess it might sound a little like this. It's a fine and hard rocking track and easily one of the catchiest on the album. The closing “Untamed” tells its tale of rage with conviction and tempo shifts. Strong riffing is the order of the day. And there we have it. Ten tracks, a mostly fairly dark feel and some real stand outs. Overall, then, this is another good entry into Grand Magus' body of work but does not quite scale the heights of “Sword Songs”. Of course, it is mandatory listening for fans of the band and may well make new converts as well. 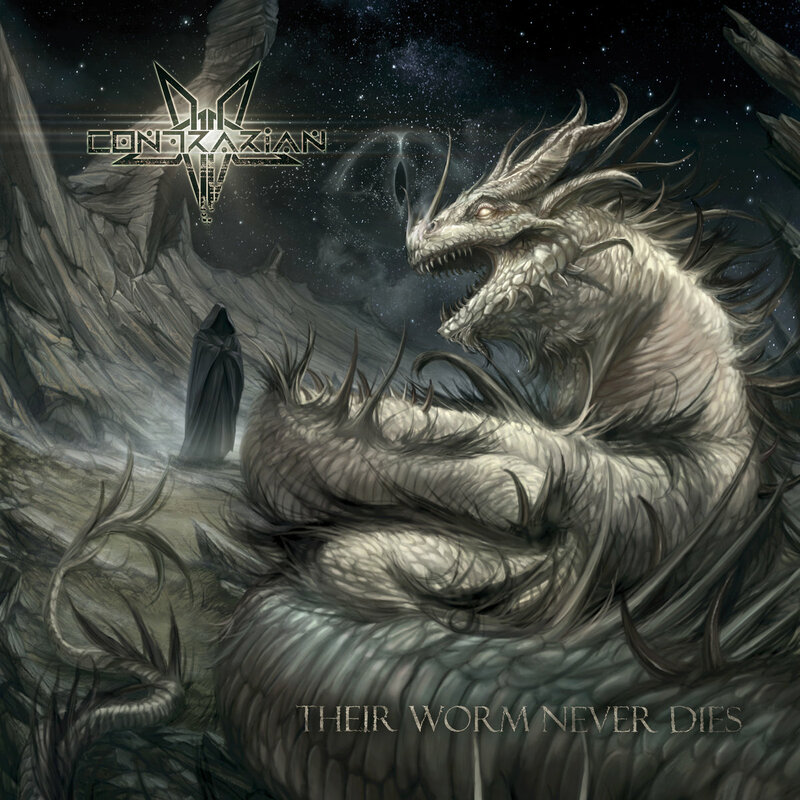 This is a strong and dark record made by veterans of the form and sees Grand Magus further cementing their reputation as front runners in the niche of traditional heavy metal. if you miss latter day Death, feast your ears on Atheist or love the Cynic debut then this will be music to your ears, because this is impressive stuff. Technical and progressive death metal is surely an acquired taste- particularly when it comes with the jazzy inflections that bands such as Contrarian deliver by the bucketload. I reviewed the debut “Polemic” back in 2015, but I missed their sophomore effort, “To Perceive Is To Suffer”. So, what have the Rochester, New York, based outfit come up with this time around? Well, it once again references the past greats of the niche genre; latter day Death and Cynic are both in there. Naturally, George Kollias being behind the kit is a huge draw for many DM heads anyway. However, this is no Nile re-tread as he plays technical and jazzy; he's using brushes at the start of “Exorcism” for satan's sake! The sound is pretty great- quite spacious and not too slick. In fact, there is audible hiss and an almost demo like quality to the sound. It's not compressed beyond believe and it sounds authentic, old school and “real” in a way that albums made on pro tools grids alone do not. The drum sound may take a little getting used to, but that is for the listener to decide on. Don't expect boxy and muted sounds... but don't expect zero triggers either! As the record progresses, it's clear that a fan of the first album will like this one; the leads that open “My Curse” are great, the vocals are another selling point; closer to Schuldiner than Corpsegrinder and they help by dialling down the brutality- this is not hyper-aggressive stuff. The riff passages are excellent and the clean intro of “The Petition” segues perfectly into some mesmerising riffage. The progressive riffing of “Among The Misled” coupled with the off kilter rhythms does a great job of making the listener pay attention (cracking bass work, too). The title track is three minutes of melancholy vibes and keen lead work- an unexpected twist in the album's tale. The closing eight minutes of “Whomsoever Worships The Whiteworm” is the most extreme track on here, in terms of structure, delivery and sounds. The bass is super dexterous the time changes come thick and fast and the playing is sublime. To sum up, then, this third album is a highly credible slice of technical and progressive death metal. This is for all fans of any of the bands mentioned here in comparative terms. Just like the debut, if you miss latter day Death, feast your ears on Atheist or love the Cynic debut then this will be music to your ears. Impressive stuff.